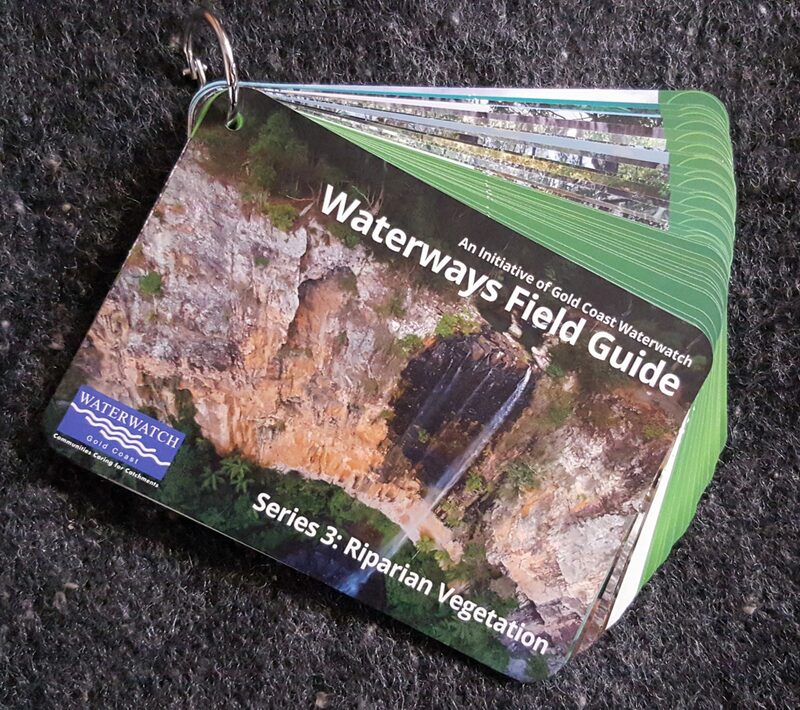 Waterways Field Guide – Series 2 to 4 are here! In December last year, we released the first in a series of field guides titled “Waterways Field Guide, Series 1: Water Bugs”. Being an initiative of Gold Coast Waterwatch, the Water Bugs guide was quickly heralded to be a success by many in the Gold Coast Community, with copies continuing to be sought after by a wide range of students, teachers, scientists and members of the community to be used as a valuable field and teaching resource. 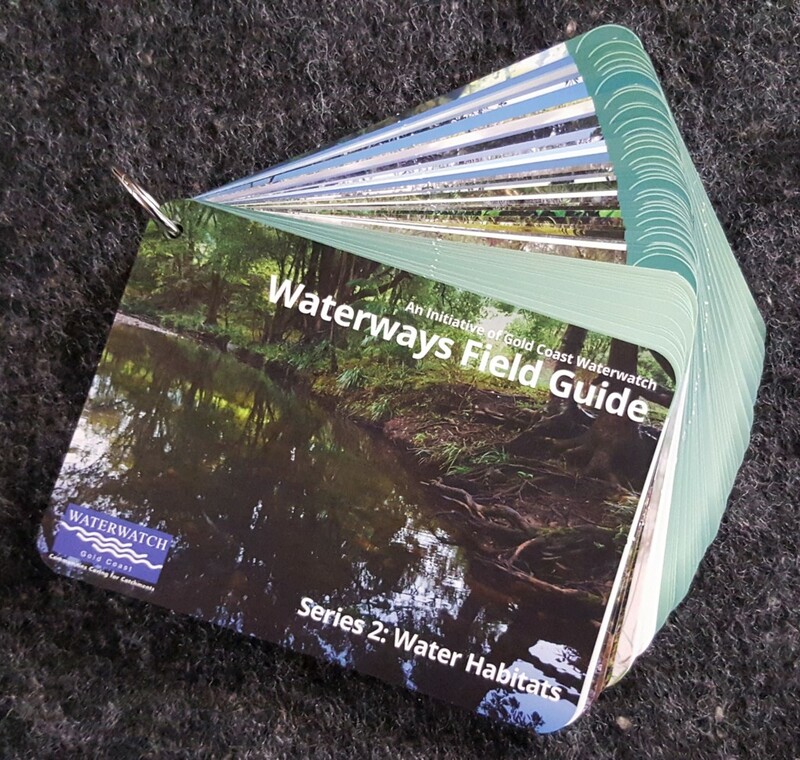 Just like Series 1, these brand new guides are presented as ring-bound, laminated and full colour sets of cards designed specifically to be used in the field. Given their high quality photographs and images, along with detailed and well researched information we know that they will become an invaluable tool for budding or seasoned biologists to use as they explore the wonders of our local waterways. Additionally, these guides feature background information about the importance of our catchments, protecting our natural areas and the Waterwatch program. So how about some more information? This guide contains information on water habitats found within the catchments of Australia’s east coast and is designed to help community members and students to identify and explore water habitats in the field. This series features how to assess different types of water habitats and covers well researched information on thirty-three different water habitats, which have been categorised into the upper, mid and lower catchments, with each containing a variety of habitat types. Covering information on riparian vegetation types found within the catchments of Australia’s east coast, this guide and will help students and scientists alike to accurately identify the variety of vegetation types found growing along our waterways. This series covers well-researched information on fifteen different riparian vegetation habitats, which have been categorised into the vegetation of upper, mid and lower catchments. This guide contains detailed and comprehensive information on the life cycles of the variety of organisms found within the catchments of Australia’s east coast. The guide contains clear diagrams and easy to understand explanations of many and varied life cycles of organisms ranging from plants and fungus through the various insects and other invertebrates as well as our better known birds, reptiles and mammals. This field guide can be used to learn all of the complexities of the life cycles of thirty-six species that can be found in this region, along with more general descriptions of most life cycles found in the plant and animal kingdoms. This guide also covers well-researched information on the appearance, habits and adaptations of each organism. 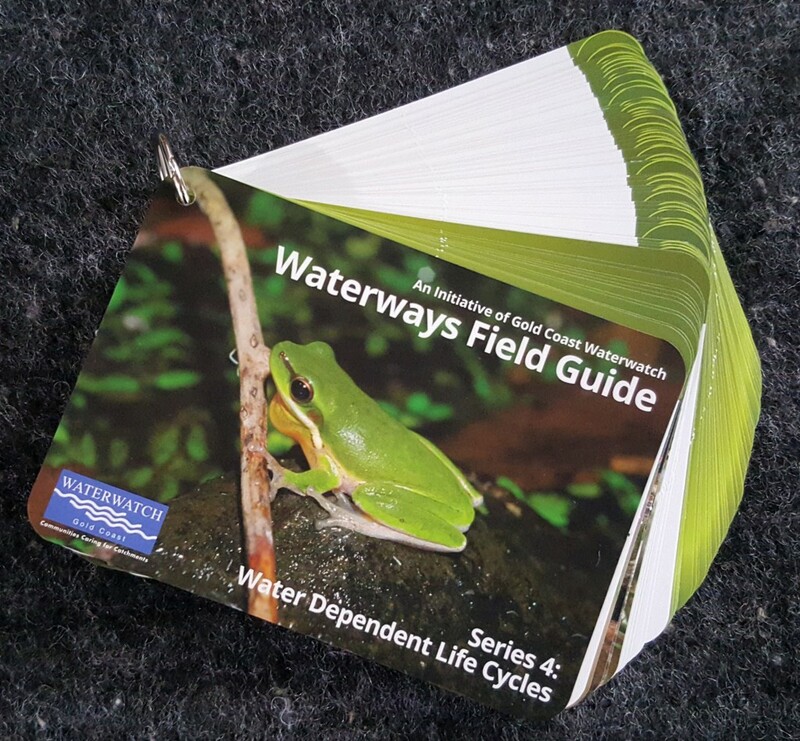 We are very proud of this series of field guides and would like to acknowledge the support of Natura Pacific and the City of Gold Coast through the Gold Coast Waterwatch, which made the production of these guides possible as well as making copies available free of charge to Gold Coast schools and community associations. If you would like to obtain your copy please contact us. We are 2016 Healthy Waterways Awards Finalists! A Fantastic New Resource for Teachers, Students and Scientists Alike! Please feel free download and use the provided resources to carry out biological tests, physio-chemical analysis and habitat assessments at home or in the field, without the presence of a Waterwatch Officer. Happy researching little scientists.